Acafellas-Episode 3 Promos. Only 7 और days until the premiere! Anyhoo, these romos from episode 3 called "Acafellas". 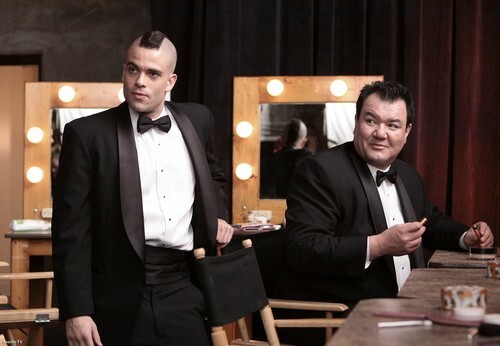 HD Wallpaper and background images in the ग्ली club tagged: glee season 1 episode 3 acafellas promo still image 1x03. This ग्ली photo contains बिजनेस सूट. There might also be ड्रेस सूट, पूरी पोशाक, tailcoat, पूंछ कोट, पूंछ, सफेद टाई, सफेद टाई और पूंछ, पोशाक सूट, पूर्ण पोशाक, टेलकोट, पूँछ कोट, and पट.